Shane Dawson has been on Youtube for years, but it’s really hard to place Shane in a specific video category. Over the years Shane has produced many different kinds of videos, first he started with comedy videos, which then progressed to trying dumb life hacks, and trying crazy foods, however at around this time he also started to explore the world of conspiracies. His latest videos is a series covering trips with his friends, usually with a dark purpose or exploring the lives of famous people. 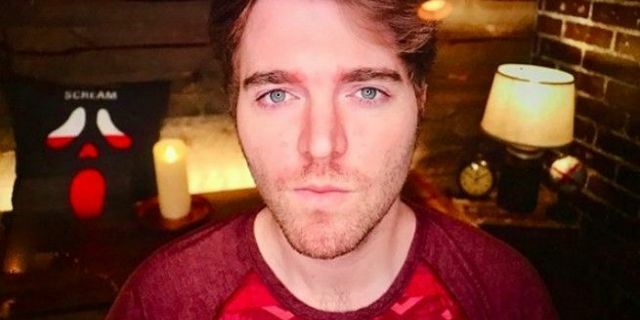 On January 31st Shane Dawson uploaded the first video of the year, in which Shane covered several conspiracy theories. From the iPhone always recording to cartoons placing subliminal messages in our young minds. This all started when Shane’s friend Garett got a call from his mom. Before Garett picked up the phone he said, “Hold on it’s my mom.” After he picked up the phone his mom asked, “Were you making fun of me.” Garett said no and asked her why, she replied with well I heard you say, “That’s my mom.” This has brought up the theory that your iPhone is always listening to you. To test this Shane told his friends to call him and say something as he was picking up so he could see if he could hear it. You couldn’t hear direct words but you could hear mumbling as Shane picked up the call. This had been used in movies for a long time, but basically you take the image of one person and can make it look like another person with editing. 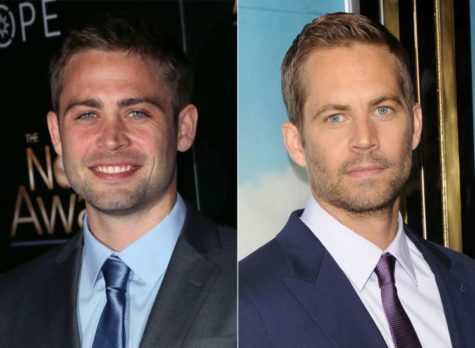 In Fast and Furious, Paul Walker wasn’t part of the 7th movie so directors used his brother and edited him to look identical to Paul. Yeah he looks identical to his brother and that was done by directors’ advanced technology. But here’s the problem, now there is an app available for download which can do all of these features and the public can use it. This app has caused a great deal of controversy because people have taken and made videos of random and famous people, making them look like they’re doing something else. One of the scariest ideas is people could literally make a video of Trump saying he launched missiles to Korea, next thing we know Korea sends missiles to the United States, and all of this caused by a fake video. If you think about it, it’s not even that crazy, famous people have fallen victims to this as well. People take pornographic videos and edit celebrities’ faces in them. So thoughts of this causing many problems isn’t even a theory anymore – it’s a fact. With every passing year depression and suicide rates in teens rises. Many people are beginning to blame it on cartoons they watched as kids. When you’re little you see things on T.V. and basically get used to it. You want to go all over the world like Dora, hang out with animals like Diego, or swim in the sea like the little mermaid. However when those same kids re-watch those cartoons years later, they can realize some things they didn’t quite see before. They notice some images like this. Yeah her pants say “Dad’s Trophy.” In Spongebob there is an episode called, “Are you happy”. All the episode is about is how Squidward is depressed. He is sad, wants to sleep all the time, looks tired and even hangs ropes all over. Besides this there are even darker messages like suicide. In many old Disney cartoons a lot of them end in characters shooting themselves. Those images can get very triggering for lots of people but as a kid our mind just absorbs it all. Apple actually admitted this saying that your iphone always watched what you did, but of course they say they don’t keep what it sees but who knows if they do or not. When you take a picture on your phone on the live setting it actually records three seconds before you clicked the actual photo. But, how does your phone know when you’re going to actually take the photo? Apple claimed this was a big fix and they would fix it but so far there has been no change. Click here to see Shane’s full video.